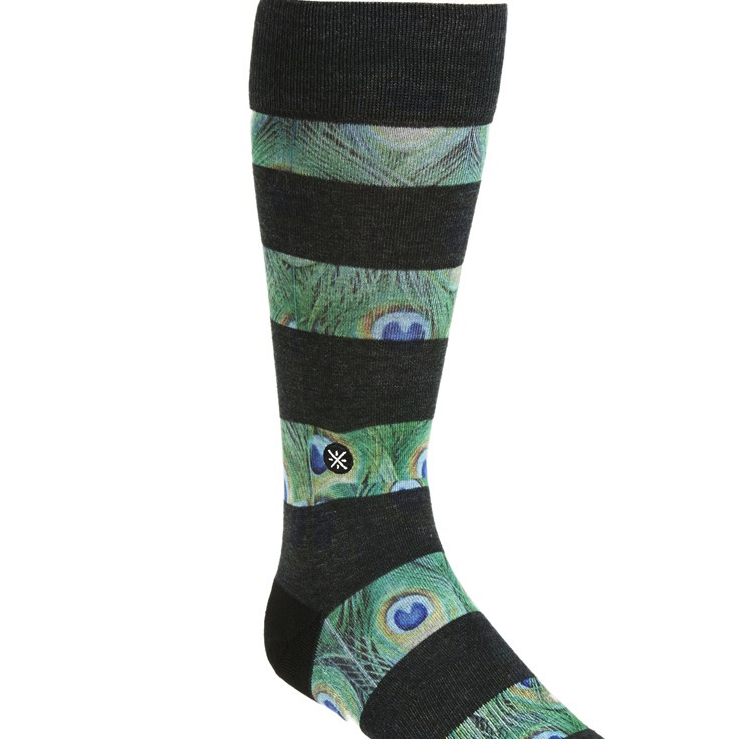 Charcoal stripes wrap across the vibrant Peacock print of rib-knit crew socks designed for stretchy, long-lasting comfort. These stylish foot warmers are part of an exclusive collaboration between Stance and NBA superstar Dwyane Wade of the Miami Heat. 50% combed cotton, 30% polyester, 13% spandex, 7% elastic.